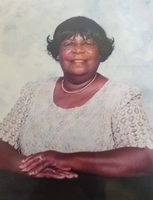 Provide comfort for the family of Catherine Taylor with a meaningful gesture of sympathy. Provide comfort for the family of Catherine Taylor by sending flowers. To the family, I would like to offer my condolences to you. I am sorry that you loss your precious family member. My prayer is that you will find strength in God’s word to help you to endure this tragic loss. Revelation 21:4 tells us that in the future none of us will have to experience the pain and suffering that death brings. May we all look forward to that day when we will see our loved ones again. I am so very sorry.